As our fearless leader Nick Kush noted, The Perfect Date seems like the perfect movie for me. For those of you who have been tagging along on my MovieBabble journey thus far, you would have come to the realization that an extraordinary amount of my writing is on rom-coms/romance. Of course my repertoire extends beyond the world of romantic comedy (I hope! ), but every now and then I find myself coming back to this genre. Rom-coms, when done right, feels like a warm cup of milo (the Singaporean version of cocoa) on a rainy day; its warmth makes the melancholy of the rain drip away. The Perfect Date doesn’t beat out its predecessor To All the Boys I’ve Loved Before, with the latter having more going for it in terms of the visuals and characterization. However, it is not too bad. I enjoyed it, not only as a rom-com but also as a coming-of-age type of movie. 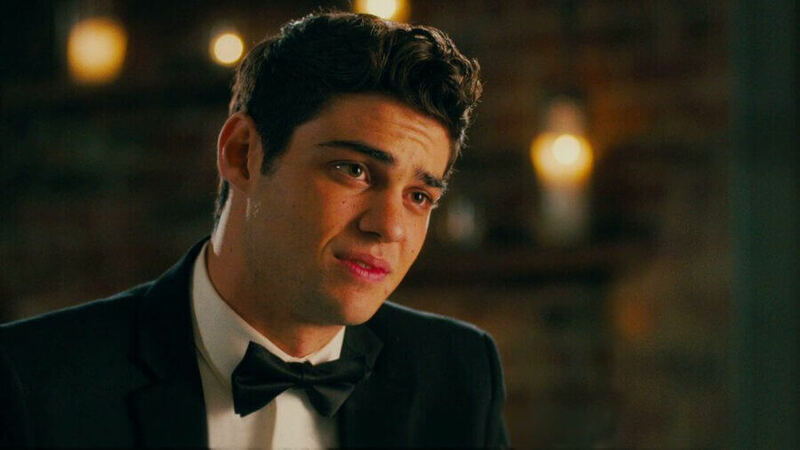 This movie succeeds because of the playful chemistry between the leads and the usual authentic performance from Noah Centineo. He is the rom-com face of Netflix, and here’s hoping he gets to stay on our screens for a long time to come. Brooks Rattigan (Centineo) has aspirations. He wants the fancy car, the beautiful girlfriend and the Ivy League education. However, a college like Yale does not come cheap. 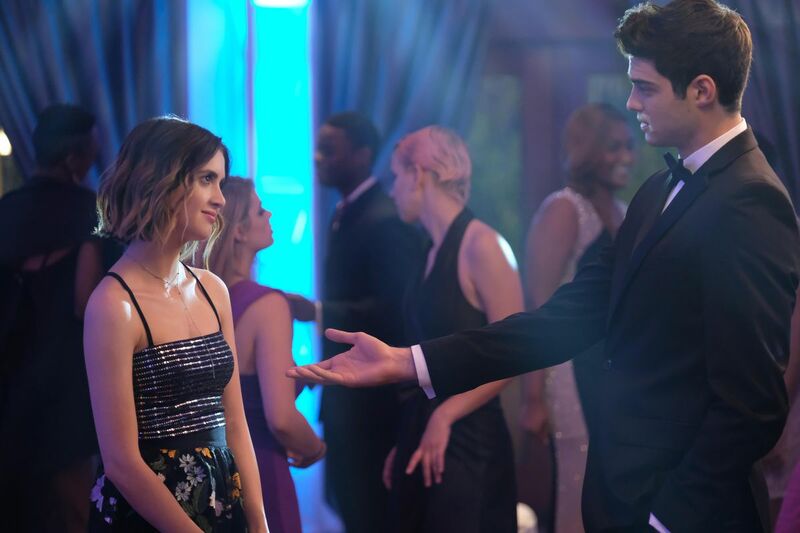 After volunteering to chaperone Celia Leiberman (Marano) to her school formal in order to make some cash, he realizes the monetary potential of being a chaperone aka a stand-in. His best friend Murph (Georgiadis) helps him create an app to get his business moving along. As he starts playing these elaborate roles for all these dates, his acting and pretending starts to seep its way into his own life, forcing him to take a step back and consider who Brooks Rattigan really is — without all the aspirations he wants to chase. The Perfect Date is adapted from a book, originally titled The Stand-In, with the writer of the book Steve Bloom as one of the screenwriters for the movie. The movie joins a whole host of other book adaptations from Netflix, like The Kissing Booth and of course To All the Boys I’ve Loved Before. This movie is the fourth rom-com movie Centineo has done with Netflix, the first three being SPF-18, To All the Boys I’ve Loved Before and Sierra Burgess is a Loser. After Centineo’s breakthrough performance in To All the Boys I’ve Loved Before, comparisons between Mark Ruffalo began shooting up all across the internet. Even talk show hosts like Jimmy Fallon brought it up to Mark Ruffalo, commenting on the similarities in physical appearance as well as acting ability. Having watched 13 Going on 30 recently, and my dalliance with Just like Heaven whenever it appears on cable, I would have to say that the internet has definitely got this right. What makes Ruffalo such a compelling romantic comedy leading man is the authenticity and charm he brings to the characters he plays. Centineo has very much the same vibe going for him. He builds fantastic chemistry with all his female co-stars, and seems genuinely interested in the conversations he has on screen with them — we know its acting but it comes across as extremely believable. Even in a movie like Sierra Burgess is a Loser, where he shares barely any screen time with Shannon Purser (since they communicate through phone conversations), he asks questions like they are his own and listens as if he really wants to know the answer. The movie works mainly because of him. He is likable but not too likable, making sure to highlight his character’s flaws so as to make Brooks’ growth later on feel earned and not contrived. He is not afraid to be vulnerable on screen, which is why he succeeds in the rom-com territory. Celia’s description of Brooks in the movie is actually an apt description of Centineo himself. She calls him vanilla, and while that might across as an insult (suggesting that he is plain and boring), vanilla is a nuanced and staple favor. You can’t go wrong with it, it is reliable and tasty as always. This is a question Brooks struggles with for most of the movie, which is why it falls into the coming-of-age category as well. The movie rightly points out the flaw in the education system, where teenagers who barely understand themselves are forced to pen personal essays and sell themselves as individuals who have it all figured out. Education and the ascension through the ranks of academic qualifications are not presented as a way for young people to find out more about who they are and about the world they live in, it is touted as a gateway to a life which can get you tons of stuff that is supposed to make you happy. We chase the dream car, the dream house, the dream partner and family, but sometimes fail to consider whether we truly want these things on our own terms, or if we are just pursuing what society has deemed worthy of pursuit. Brooks is driven to pursue all these things because he believes that his mom left his dad and himself because his dad became a failure. He spends quite a bit of the movie judging his father for giving up, and desires to be the inverse of who his father is. I like the whole subplot with the father, since the movie establishes through this relationship that even adults screw up. Life is far from a perfect road after University; rejections and failures are inevitable. Sometimes you give up, but there needs to be a moment where you decide to try again. There also needs to be appreciation for the things you have accomplished. Just because it is a thing of the past does not mean it needs to be forgotten or laid aside. Both the past and prospects of the future drive our decisions in the present. I think that’s a pretty good message for a movie to have. One of the major themes in the movie is that of expectation versus real life. Your expectation of a crush is formed on a basis of illusion. After you get to know them, you reform your opinions to more real, authentic understandings of their characters. I can understand that Brooks and Celia’s crushes do not end up being who they expected them to be, but do they have to fail in such spectacular fashion? Of course we can see our lead protagonists making their way back to each other after seeing how both these crushes are so boring. Mendes is basically her character Veronica Lodge from Riverdale, and Kern’s character is supposedly smart but speaks like a surfer dude. Develop these characters more and that would translate into making the main relationship feel more earned. We don’t need to completely despise these minor characters in order to root for Celia and Brooks’ relationship. Georgiadis is serviceable as the best friend, though he could have used some development as well. A lot of Murph’s characterization is him feeling betrayed by Brooks, which comes across as a tad bit hyperbolic. Brooks side-hustle takes much of his time, but I don’t think he is as bad of a friend as Murph makes him out to be. When Murph points out they haven’t been spending time together recently, Brooks apologizes and immediately makes plans with him. He mostly sticks to the plans as well, flaking out on one activity, which is what creates the tension later on in the friendship. I guess friends can get mad without the reasons being wholeheartedly rational, but Murph goes out of his way to avoid Brooks, even when the latter reaches out. Though they are supposedly best friends, they feel more like casual friends to me. The movie tries its best to paint a connection that dates back to a shared childhood, however the credibility of the friendship is just not there. The scenes with Centineo, Marano and Georgiadis feel a bit more natural, probably because of Marano’s presence. Marano’s character is a bit too try-hard on the weird, kooky girl persona. I never really get a sense of who she is beyond that. The movie tries to hammer some layers into her by having her literally speak aloud about her worst fears and insecurities. Storytelling 101: Show don’t tell. The Perfect Date offers a decent romance that is well-suited for a medium like Netflix. I wouldn’t pay to watch this in the cinemas, but because of where it is hosted I wouldn’t have to (well, I have to pay for the subscription fee but you get what I mean). This movie is perfect for fans of Noah Centineo who need something to tide them over till the To All the Boys I’ve Loved Before sequel arrives. Oh yeah Nick, can I get dibs on that? Thank you for reading! What are your thoughts on The Perfect Date? Comment down below! Previous story Time to Answer the Big Question: Who’s the Best Spider-Man? If I actually had a crush on the female actresses, then I would have checked this film out. Nope, lol, no offense to her! Is this in limited or is it going wide? I realise my reply is so late that you probably figured this out, but yes, it is a wide release. I live in Singapore and I have access to it on Netflix.